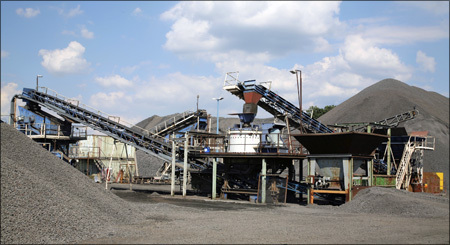 American Roller Bearings is an industry leader in manufacturing bearings for the Rock Crushing Industry. Impact is one of the most severe types of load that can be applied to a bearing. Rock crushers break large stones into smaller stones/pebbles by causing continual impact on the raw material. American cylindrical roller bearings are used in the two main types of rock crushers used all over the world. Jaw Crushers and Cone Crushers have been doing this extreme job successfully for a long time. Some Cone Crushers use a tapered roller V-flat design as the primary thrust bearing in the cone.